The Sister Dulce Foundation, Inc. relies on the generosity of people like you to continue its mission. Are you looking for a way to leave a lasting gift in honor or in memory of a loved one? Our Walk of Memories Brick Campaign may be just the thing you are looking for. For only $200, you can purchase a brick for the walkway and personalize it with your own name, your family name or in memory of a loved one. 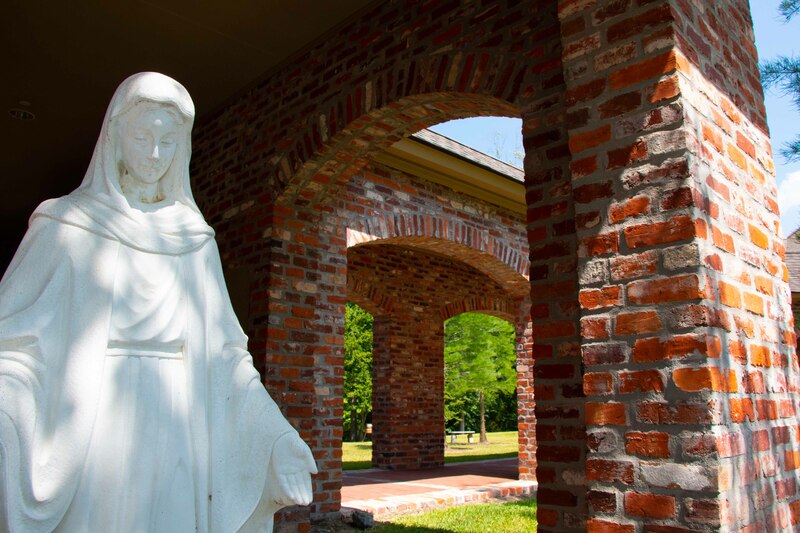 These bricks are placed between the Ministry Center, the Chapel of Divine Providence and the Convent-visible to all who visit our Prayer Center to see. 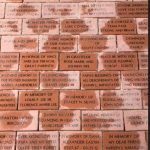 These uniquely engraved bricks will become a lasting testament of your support for the Cypress Springs Mercedarian Prayer Center and its sacred mission. 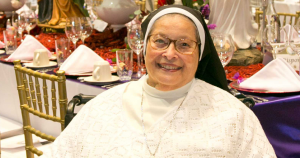 Remembering Cypress Springs Mercedarian Prayer Center (CSMPC) in your will or bequest is a meaningful way to help support the ongoing mission of the The Sister Dulce Foundation, Inc. Provide now for a future gift to CSMPC by including a provision in your will or other estate plans. You can specify how you would like us to use your gift. A bequest costs nothing now, yet gives you the satisfaction of knowing you have provided for the ministry’s future. Many families now request that mourners make a donation to a chosen charity rather than leaving funeral flowers. Including a Memorial Contribution statement in a loved one’s obituary is a way to help support The Sister Dulce Foundation, Inc. and their mission to minister to God’s people by providing spiritual consolation and guidance, comfort and peace. 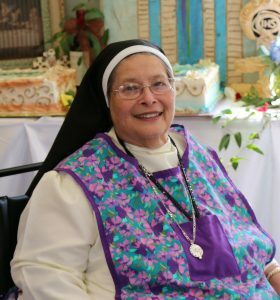 As an expression of sympathy, memorial contributions may be sent to The Sister Dulce Foundation, Inc. 17560 George O’Neal Road, Baton Rouge, LA 70817, or online at cypressspringsprayercenter.org. The Sister Dulce Foundation, Inc.
We are a tax-exempt, charitable institution listed in the Federal Internal Revenue Service Publication #78, “Cumulative List of Organizations,” revised IRS Code 501(c)(3). Want to Add Us to Your Existing Will? You don’t need to create a new Will. Simply ask your Attorney to prepare a “Codicil”, which is a legal document that amends your original Will. This is a common way to make minor changes. (1) Residuary Bequest: After all debts, expenses and specific bequests to others have first been fulfilled, I give the rest, residue and remainder of my estate to The Sister Dulce Foundation, Inc., located in Baton Rouge, Louisiana, Tax ID 20-2190600, for its general purposes. (2) Specific Bequest: I give to The Sister Dulce Foundation, Inc., located in Baton Rouge, Louisiana, Tax ID 20-2190600, the sum of $_____________, for its general purposes. (3) Real Estate: I leave to The Sister Dulce Foundation, Inc., of Baton Rouge, Louisiana, Tax ID 20-2190600, the real property described as follows: [property description] And I direct my Executor/Executrix to sell the above-described real property and distribute the net proceeds to The Sister Dulce Foundation, Inc., located in Baton Rouge, Louisiana, Tax ID20-190600, for its general purposes. Another Easy Way to Give is thru Beneficiary Designations: Not everyone wants to commit to making a gift in their Wills or Estate Plans. Some prefer the increased flexibility that a Beneficiary Designation provides by using: Life Insurance Policies, IRA’s andRetirement Plans, Commercial Annuities. Contact your Retirement Plan Administrator, Insurance Company, Bank or Financial Institution for a “Change-of-Beneficiary Form”. The information shown on this website above is for illustrative purposes only and is not intended as Legal, Tax or Financial advice. Always consult your Legal, Tax or Financial Advisor or other trusted Professional Advisor before making or amending your Will and to also learn which assets will or will not trigger taxable income when paid to a Beneficiary.